Climate change is not only major environmental issue but also a major economic issue. The fast growing climate change impact will have devastating effect on global economy, and the most affected will be the developing nations because climate change effect will limit their long-term economic growth. 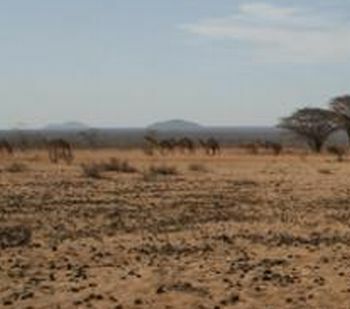 Ben Olken, a professor of economics at MIT, believes that the global temperature increase will have particularly negative impact on poor developing countries, not just because of damage done to the agriculture by frequent droughts but also because this will lead to major decrease in investment, political stability and industrial output. Olken calculated that every 1-degree-Celsius temperature increase in a poor country, over the course of a given year, reduces its economic growth by about 1.3 percentage points. His equation only applies to the world's developing nations because rich developed world does not appear to be affected this much by these variations in temperature. The higher than normal temperatures hurt economy on many different levels, for instance by slowing down workforce, commerce, and in some cases even the capital investment. Olken concluded that higher temperatures in a given year affect not only country's present economic activity but its long-term economic growth prospects. Olken and his colleagues collected temperature and economic-output data for each country in the world, in every year from 1950 through 2003, and realized that by the numbers, growth fell following hot years. It also has to be added that this study does not include all the possible issues that could be generated by long-term climate change, such as rising oceans, floods or increased storms, meaning that the climate change economic impact could prove to be much worse in years to come.